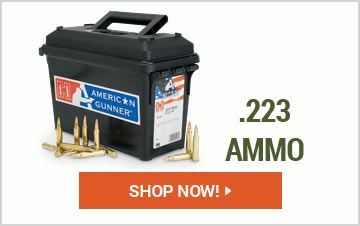 Find high-grade Rifle Ammunition at Sportsman's Guide where you will discover a wide variety of popular calibers as .223, .308, 5.56mm, .270 Rifle Ammo and more. 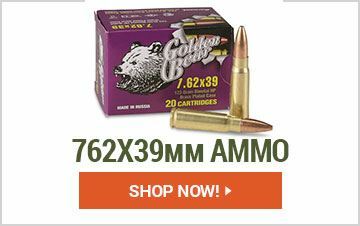 Find the Rifle Ammo you are looking for at Sportsman's Guide and save BIG! Check out this article by Ron Spomer on why bullet weight and shape can be important in your shooting- "Does Bullet Weight Matter?" The Guide Outdoors is your outlet for the greatest outdoor tips. If you want to know a little more about how ammunition fires, check out "Rifling Twist Rates & Bullets". 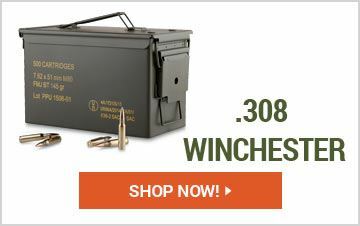 Perhaps you're wondering about the optimal round for deer hunting, read "Best Deer Cartridge". Also, don't forget to check out our Guide Outdoors Ballistics Charts at GuideOutdoors.com!